I can’t legally stop you from spending 30,000 green US dollars on this beautiful 31-year-old low-mile Toyota midship runabout, but I must implore you not to. 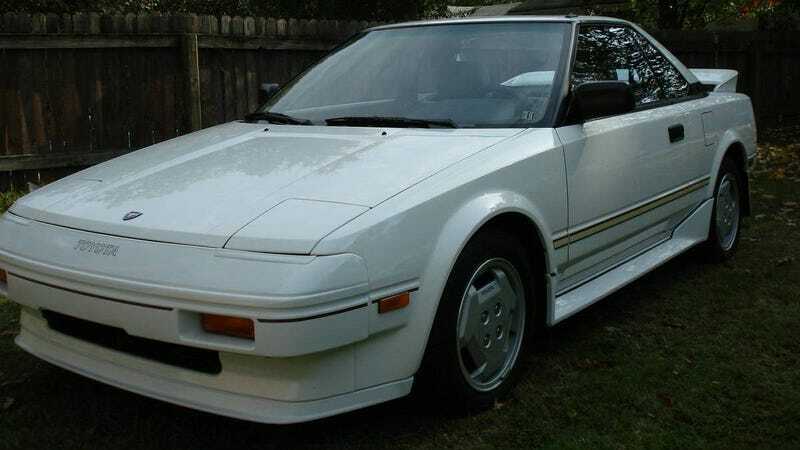 Found on Craigslist in Indianapolis is this one-owner sports car with an incredible minimalist interior, excellent handling, and the coolest angular 80s styling Japan could muster, but there is no way it’s worth thirty grand. At just over 10,000 miles, this Toyota is barely broken in, but who in their right mind would spend 30k? It’s not even the ultra-awesome MR2 Supercharged. A recent E30 M3 sale seems to have proved that people will spend silly money on cars, and Japanese collector cars have been undervalued for at least a decade, but does anyone think this Toyota is worth thirty grand? The naturally-aspirated MR2 is truly one of the most fun cars I’ve ever had the pleasure of driving. It’s an honest driving experience with inputs telling the driver exactly what they have to know. It requires deliberate inputs and a deft touch to avoid the dreaded snap-oversteer they were known for. You can balance it on a knife edge through the corner. It’s rewarding. Alright, maybe it’s worth the asking price. There is very little information on the car provided in the ad, but the seller claims the car has never seen rain or snow, and has always been garaged. By the looks of the interior, I’d accept that as truth. The sheepskin seat cover looks like it was installed in 1987 and has been there ever since. This is certainly a well cared for example of one of Toyota’s best cars. I seem to be convincing myself that this MR2 is worth silly money. Really, the MR2 has been undervalued as a collector car for a long time. It’s a great car that probably deserves more than the cult following it has. Now if you’ll excuse me, I’m off to my credit union to see if they’ll give me a $30,000 personal loan with decent terms so I can go buy this myself. It’s mine, and you’ll have to fight me for it.